Julie Denesha is a freelance documentary photographer based in the Kansas City area. Julie graduated from The University of Kansas in 1993, with degrees in Journalism and Russian Language and Literature. After college, she worked as a staff photographer for The Kansas City Star. 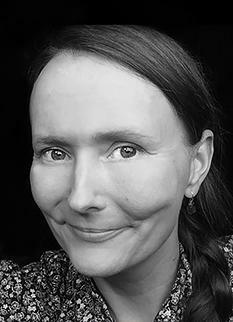 In 1995, she moved to Europe and from 1996 to 2004, Julie was based in Prague, Czech Republic, where she covered Central and Eastern Europe for newspapers and magazines. Her work has appeared in The New York Times, The Guardian, Time, Newsweek, The Economist and The Christian Science Monitor. After moving back to the United States, Julie spent three years working as a photo editor for The Washington Times. In 2007, Julie was awarded both a Fulbright and a Milena Jesenská Fellowship to continue her ongoing project on the Roma in Slovakia. Her project on the Roma was featured in an exhibit of the Roma at the U.S. Embassy in Bratislava, Slovakia, The World Bank in Brussels, Belgium, The Half King Gallery in New York, and The Institute For Human Sciences in Vienna, Austria. View more of Julie's work on her website.